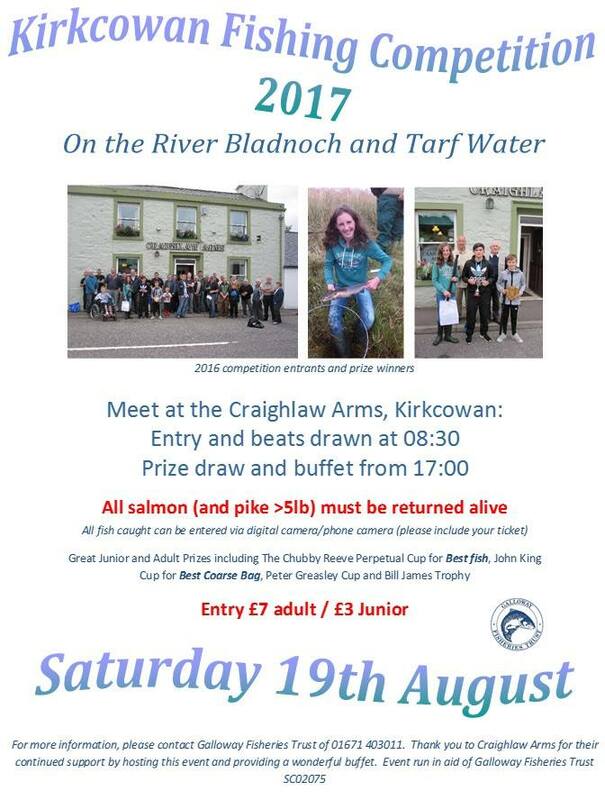 Kirkcowan Fishing Competition - 19th August - Kirkcowan - What's Going On? 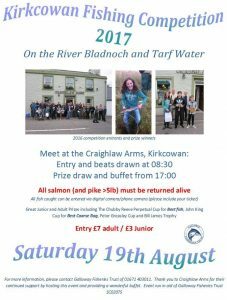 Kirkcowan Fishing Competition will be taking place on Saturday 19th August. Please meet at the Craighlaw Arms, Kirkcowan at 8:30am to draw your beat on the River Bladnoch / Tarf Water. Weigh in will be at 5pm. Various prizes for adults and juniors. Thank you to the new proprietors of the Craighlaw Arms who once again will host the event and provide a free buffet after the competition. Also thank you to all of the beat owners who make their fishings available and the various businesses / individuals that help with the prizes. Hopefully see you in Kirkcowan on the 19th!